My boss LOVES this place! He cannot seem to get enough of the chicken sandwich, the warm sourdough bread, the scalloped potatoes au gratin, and the fact that he can eat at a fancy restaurant for $11. 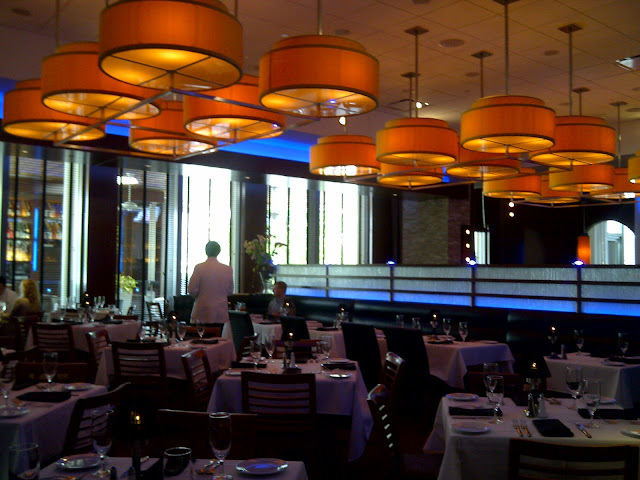 There’s been many occasions as a team and department at work, we’ll head over to Ocean Prime in Uptown Dallas for a quick lunch. I have been very impressed each time I have been there, and would definitely recommend it to any one of my friends. 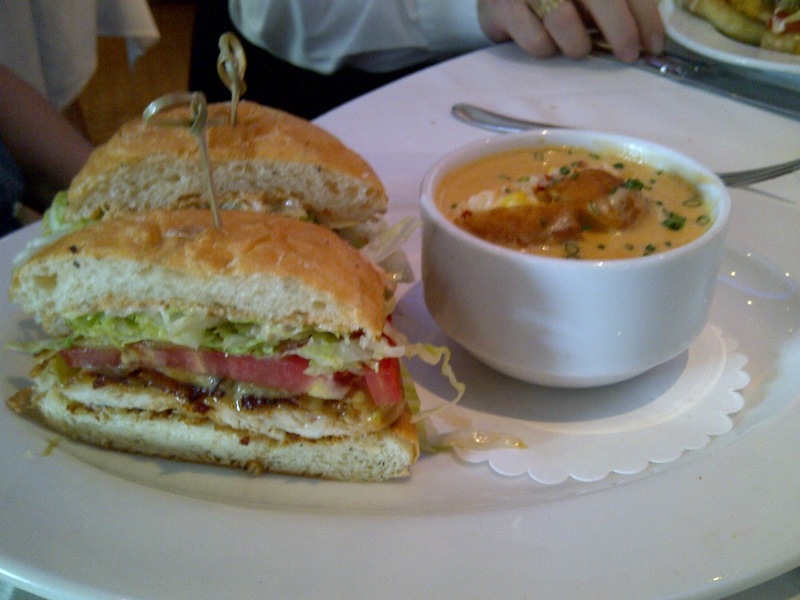 Deluxe Chicken Sandwich with lettuce, tomato, onion, cheddar, bread & butter pickles, 1,000 Island Dressing and a side of Lobster Bisque. 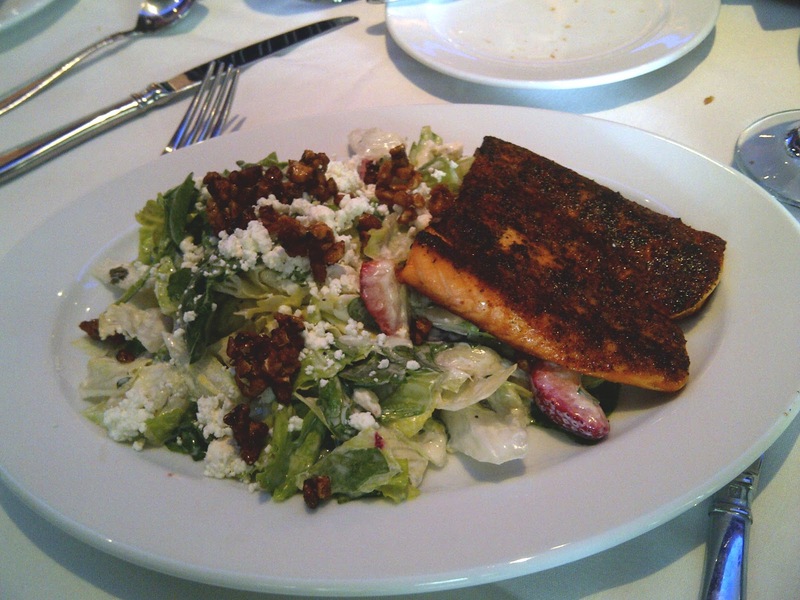 Blackened Salmon Salad with strawberries, red grapes, walnuts, and poppy seed dressing. I’ve also tried the Chicken Chopped Salad, which is my all-time favorite! It is packed with many different ingredients, some of which you would never think of pairing together, but it all somehow works! 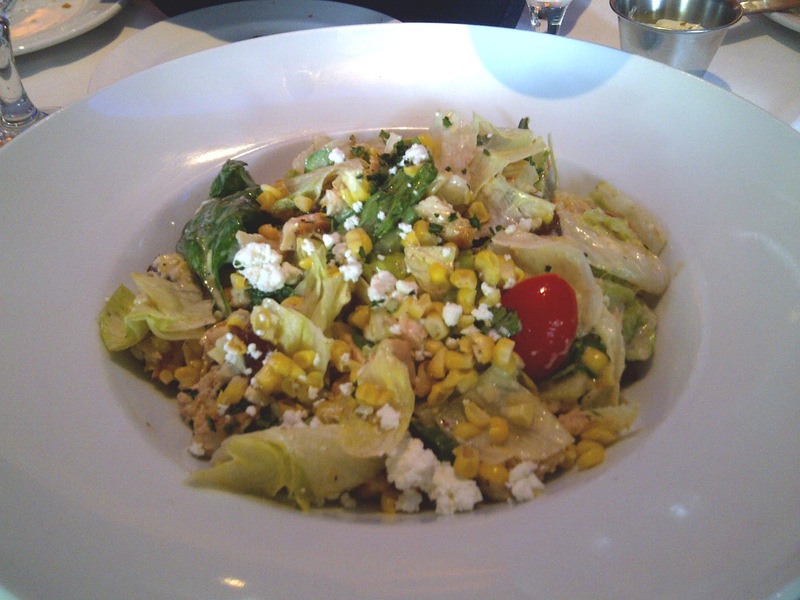 The salad contains dates, goat cheese, corn, tomatoes, chicken and asparagus. The goat cheese makes the salad creamy, the dates add a touch of sweetness, the asparagus is good for you and the chicken provides protein! Chicken Chopped Salad with roasted chicken, asparagus, goat cheese, dates, corn and sherry vinaigrette. 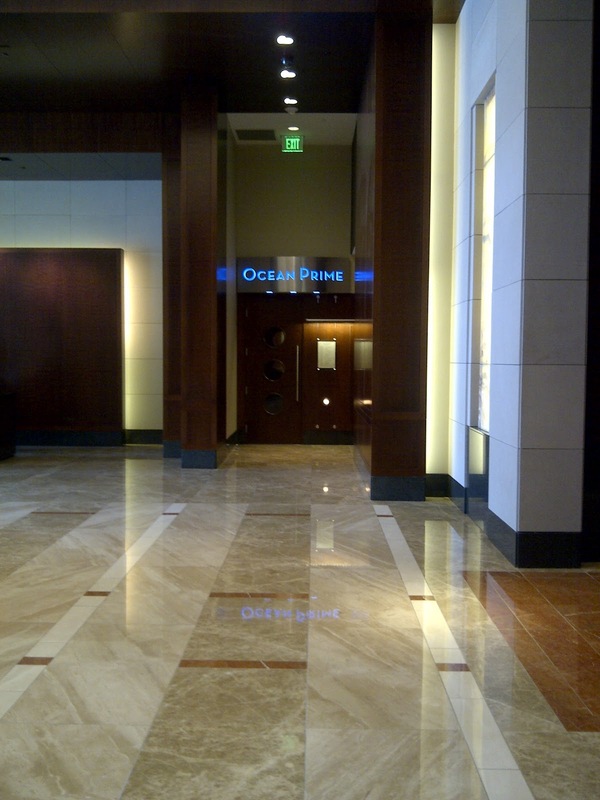 Hopefully you’ll enjoy Ocean Prime as much as and my boss and I do. Let me know what you think!